Meinen ärztlichen Kollegen Fady Geara mag man als Hobbwinzer bezeichnen, doch hat er mit Enthusiasmus und Können auf diesem kleinen Weingut in kürzester Zeit etwas Unvergleichliches geschaffen. Geringe Menge und höchste Qualität machen seinen Rotwein zu einer Rarität, die man einfach lieben muss. Aurora Vineyard is located in the mountain of the Batroun district in North Lebanon facing westward and overlooking the Mediterranean sea. The total surface is 1.5 hectare arranged in terraces of argillic soil at an altitude of 850 meters. Total production is about 5.000 bottles per year of red and white wine. The vineyard is in close proximity to the valley of The Jawz (walnut) River. Only organic and natural fertilizers, and organic pest control are used. The number of grapes per vine is tightly controlled to keep only10-12 grapes per vine. 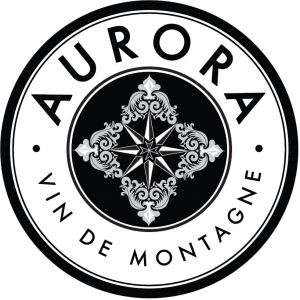 Aurora Chateau is a blend of Cabernet Sauvignon (65%) and Merlot (35%). Annual production is now 3.000 bottles. Additional plantations will increase the production to about 5.000 bottles in few years. Grape harvest is made by hand, typically the first and second weeks of September. The goal is to pick at a sugar and maturity levels that would provide an optimal density and preserve the natural acidity and fresh aromas of the grapes. Grapes are squeeze-crushed and fermented in temperature controlled stainless steel tanks. Sulfite (SO2) is added after the full completion of malolactic fermentation. After several rackings, the wine is left to age for 12 months in oak barrels; both American and French oak are used. The wine is then blended, fined, and bottled approximately 2 years from harvest. The color is dense with purple reflections. The nose detects black fruit and matured red fruit along with some scents of mocha and caramel likely from the aging in oak barrels. The attack is exquisite and balanced in acidity and complexity, with well-rounded mouthfeel ,and notes of mint and green on the finish.